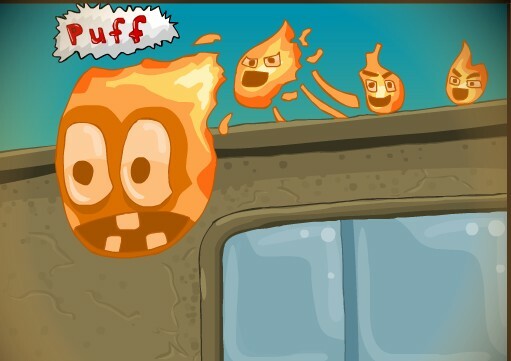 Fire's Revenge is another new physics based point and click game from nextplay. This game is hot right now and borderline pyromaniacs are playing this as I type this. The player's goal is to build the largest fire the city has ever witnessed and prove all the other fire persons that you are the most fiery of them all. Yes, you are the flame in this game so act like one. There are thirty levels in it including the tutorials that will walk you through the controls and mechanics. There are achievements for those who love to achieve something for extra challenge. With the goal that you have to touch as many planks as you can in order to get higher rating, some levels in this game are relatively difficult but not impossible. It's just that you will have a lot of trial and error moments. Here is Fire's Revenge walkthrough demonstrating how to beat the game.